Slow Cooker Turkey and white bean chili, with just a touch of pumpkin! Use the Recipes-by-Photo Index Page for Chili to see all the recipes for chili that have been featured on this site. Even when it’s a mild winter like this one with barely a hint of snow, chili still seems especially appealing this time of year. This CrockPot Turkey White Bean Pumpkin Chili from Skinnytaste is just slightly spicy, with pumpkin adding some nice color, although Gina says there is not a strong pumpkin flavor. 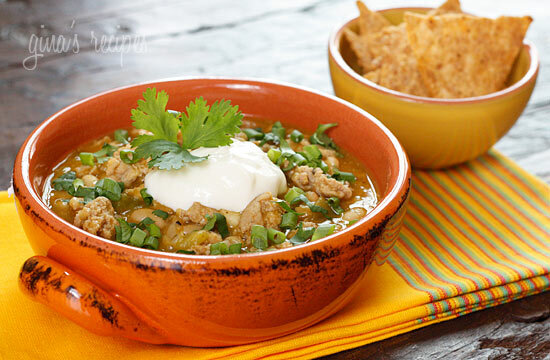 Get the complete recipe for CrockPot Turkey White Bean Pumpkin Chili from Skinnytaste. 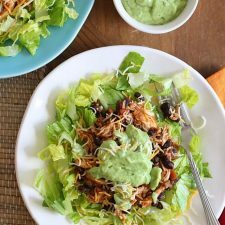 Use the Recipes-by-Photo Index Page for Chili to see all the recipes for chili that have been featured on this site. I like your new blog! Yes, there are many more recipes that can be slow-cooked besides cream-of-something soups! Thanks Valerie, so glad you like it! I have a question about the Turkey White Bean Pumpkin Chili. It showed up when I did a search for SB Phase 1 recipes. Would it really be considered a phase 1 recipe with the pumpkin in it? The reason I'm wondering is because I think I'm getting ready to do Phase 1 again, to try and get myself back under control, and this sounds wonderful! You are right, thanks for catching that! I will fix it right now. Pumpkin is definitely not Phase One. Would you just leave out the pumpkin for Phase 1, or is there something I can substitute it with? Kathy you could use the same amount of refried beans for phase one, as long as you don't have too large of a serving since beans are a limited food. If you just left out the pumpkin I might use a tiny bit less liquid. I loved this chili. Loved the mellow flavor of the pumpkin with the spice of the chilles and spices. I couldn't give it a 5 only because not all of my family loved it. Kerri, glad that you enjoyed it!